Luminar 3 adds image libraries. 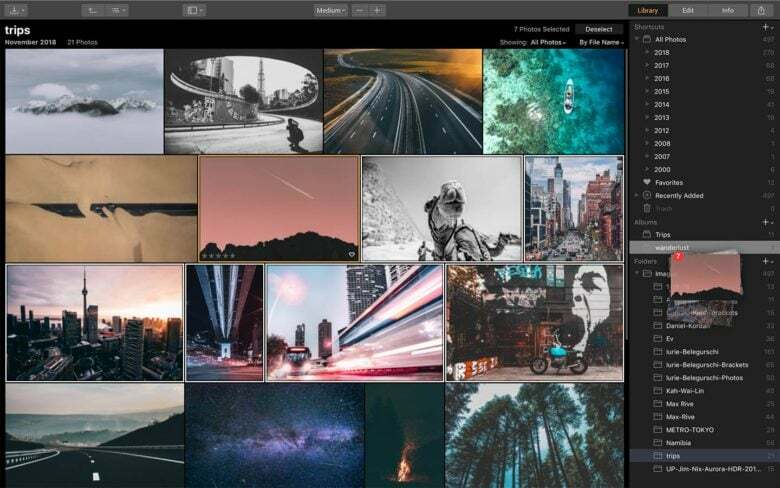 Luminar, Skylum Software’s all-in-one photo editing program, will soon add more tools so photographers spend less time using it. That may sound strange, but photographers would rather spend time behind the camera than in front of the computer. Skylum, formerly called Macphun, exists to make the complex tools for editing user-friendly. Luminar 3, available in a couple of weeks, will add a new library panel that allows photographers to preview and edit pictures in one program. The library panels are similar to the preview and catalog features of Adobe Lightroom. Some photographers will use Lightroom and Photoshop together or use a program like Photo Mechanic to preview and edit before importing images to Photoshop and other programs. On a first big test of a beta version of Luminar 3, I moved through the pictures from a big shoot in a third of the time of my normal workflow. I edited as I reviewed photos. I was able to adjust exposure, tone and sharpen one image, record the steps as a preset and apply that preset as I moved through my edit. Preview and editing all-in-one with Luminar 3. It was especially useful because of my shooting environment – a dimly lit church. I underexposed slightly to gain a faster shutter speed and Luminar 3 let me brighten files at a much faster pace. I will use it on more shoots in the coming week to see if this version lives up to the “all-in-one” label. So far, I’m encouraged. 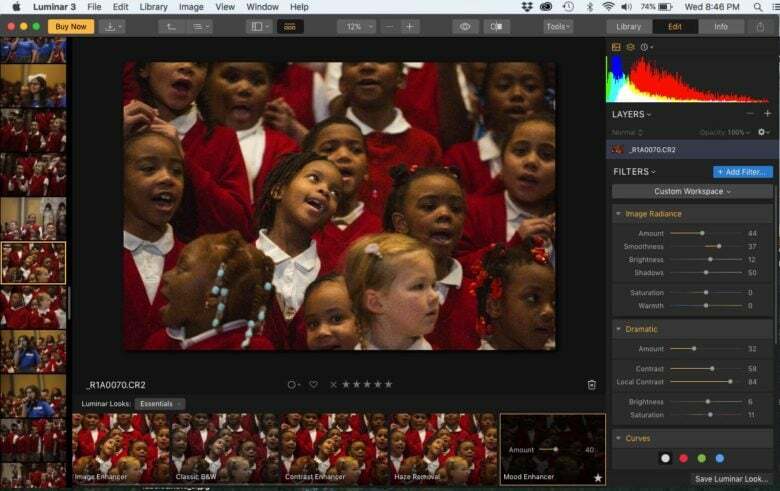 Skylum has refined its editing software to emerge as a formidable alternative to Photoshop. Luminar’s user interface makes editing easy with pre-set looks and a series of slider bars to quickly adjust color, exposure, contrast, luminance, clarity, and other image characteristics. The tools are powered by artificial intelligence and can, at times, suggest changes that are a bit heavy-handed and unnatural. Fortunately, the AI power can be dialed back to taste. Luminar 3 will be available on Dec. 18. Users already using Skylum apps can pre-order Luminar 3 for $49. New users can pre-order it for $59, which is $10 off the eventual retail price.